Technology is now nearly ubiquitous in American classrooms. From laptop and tablet 1:1 programs to Bring Your Own Device (BYOD) initiatives to rolling laptop carts, teachers and students have never had so many opportunities to use technology for teaching and learning. But is all this technology access really making a difference? Or are we just using high-tech tools to do the same old things in a slightly different way? Many teachers certainly believe that technology makes a difference. What Teachers Want From Digital Tools, a 2015 Gates Foundation report based on surveys of more than 3,000 teachers, found that 95% of teachers use digital tools for instruction in the classroom, and 56% believe that these tools make them better teachers. However, a 66-country study by the Organization for Economic Cooperation and Development (OECD) paints a mixed picture of technology’s impact on learning. Students, Computers and Learning: Making the Connection failed to find an appreciable difference in performance on PISA results for reading, math and science. To add to the confusion, students who reported using computers moderately in class did slightly better on the tests than those who did not have access to technology at all, but students reporting the most technology use did slightly worse on average. What makes the difference? Evidence suggests that it is not simply access to technology that matters, but the way that technology is utilized for teaching and learning. In many classrooms, students are simply reading textbook materials and completing worksheets on the computer instead of in pencil and paper. This kind of passive content consumption and rote translation of materials from paper to online environments is not likely to make much of a difference in learning. In fact, it may even lower achievement in cases where the technology proves to be a distraction instead of an enhancement, or where technology is used to replace effective teaching instead of augment it. However, more creative, active and transformative uses of technology in the classroom have been shown to make a significant difference in learning outcomes. The NETP report stresses the need to help teachers find ways to close the “digital use divide” and start using technology to its full potential in the classroom. So what are the most effective uses of classroom technology? Clearly, simply putting children and computers together isn’t the answer. However, when teachers integrate technology in more active and thoughtful ways, it can open up new learning opportunities that would not be possible otherwise. One example of this is the growing “Flipped Classroom” movement. By moving the passive lecture online where students can listen at will, teachers are creating time in the school day for more active forms of learning such as labs, group projects and problem solving. The flipped classroom approach was built on a core insight about teaching and technology: that there it is no longer necessary for students and teachers to be in the same time and place to get across information in a lecture format. Now, students can watch the lecture over and over on their own time, and teachers can focus on answering questions, helping with problem sets and enabling project-based learning during the school day. Teachers can use technology to personalize learning and make data-driven instructional decisions for the whole class or individual students. 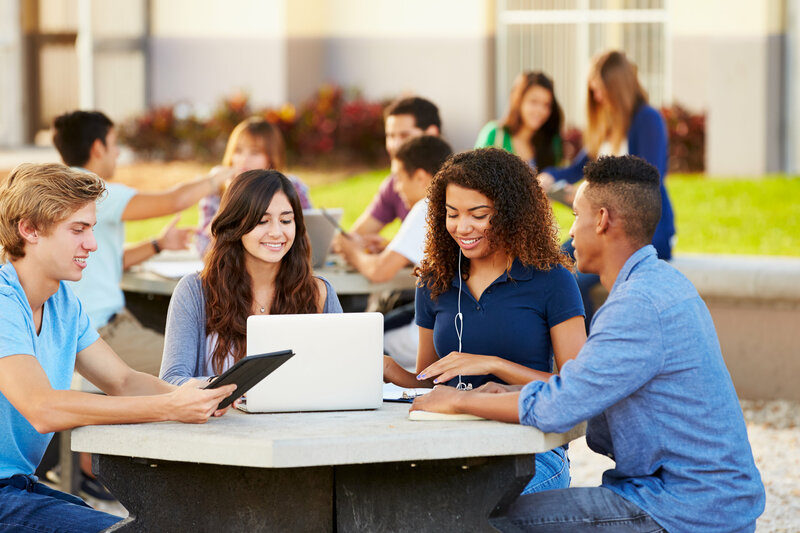 Students can now access a wealth of educational resources from libraries, universities and research institutions and connect with subject matter experts to extend and enrich their learning. Online, auto-graded assessments can provide instantaneous feedback to students so they can check their understanding and identify misconceptions right at the point of learning. Collaboration tools allow students to work together with other students in their classes (or in classrooms across the world!) to complete projects, share ideas and discuss concepts introduced in the classroom. Publishing tools allow students to share their creative work with a broad audience. Done right, classroom technology can open new worlds for all students, especially those from less advantaged communities. The key is in leveraging the technology to make new modes of teaching and learning possible. Technology will never be a replacement for a good teacher. But when we combine great teaching with creative uses of technology, we can start to make a difference.